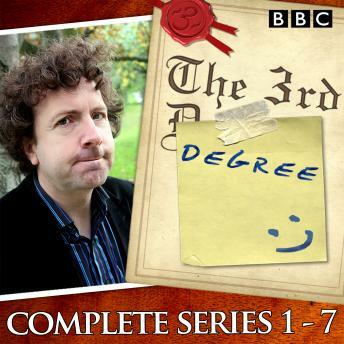 Listen to "The 3rd Degree: Series 1-7: The Complete BBC Radio 4 Collection" on your iOS and Android device. A quiz show hosted by Steve Punt (star of BBC Radio 4's The Now Show and the brains behind Horrible Histories) where a team of three University students take on a team of three of their professors. The universities in the first series are Southampton, Durham, Stirling, Reading, Salford & Middlesex.